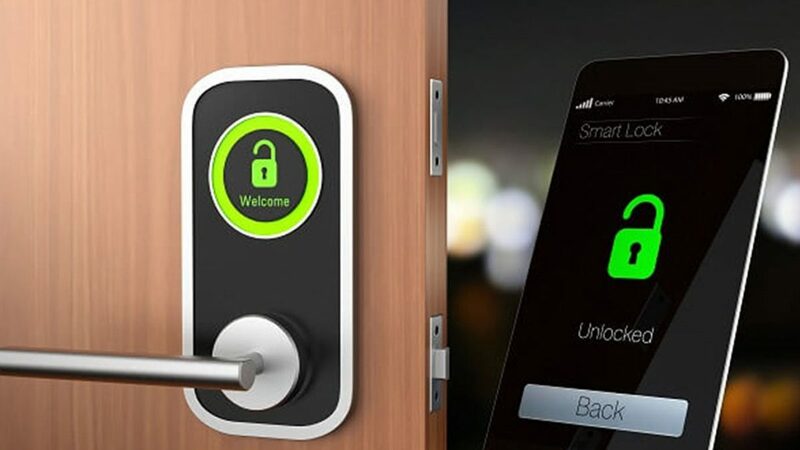 Smart Electronics has developed Smart Lock, an innovative solution that will allow the consumer to open the door using a smartphone via Bluetooth or via the Internet while away from home. 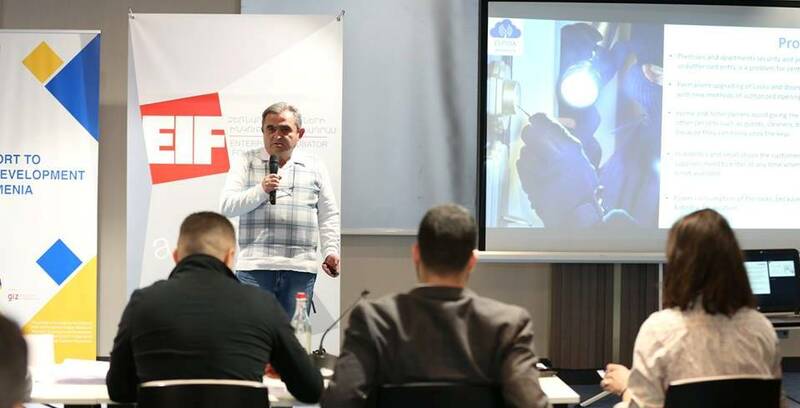 According to Arkadi Khitarov, Director of the Smart Electronics company, their goal is to develop an industrial prototype of Smart Lock. The idea of creating the startup arose after the founders talked to a guest from the USA at Vanadzor Technological Center. “For several months we were working on this question. We created laboratory prototypes, which allowed us to make sure that we were able to develop a competitive industrial prototype,” Arkadi remembers. Today Smart Lock team consists of 5 people, who are mostly developers. The EU market is the startup’s next potential target. “The uniqueness of our solution is the use of innovative solutions of the company “Texas Instruments”, namely the use of the ULTRA-Low Power Platform Simple Link and Simple Link WiFi allow one to embed a WiFi function in the lock that will work with batteries for over 1 year, which in the market does not exist nowadays,” Arkadi states. 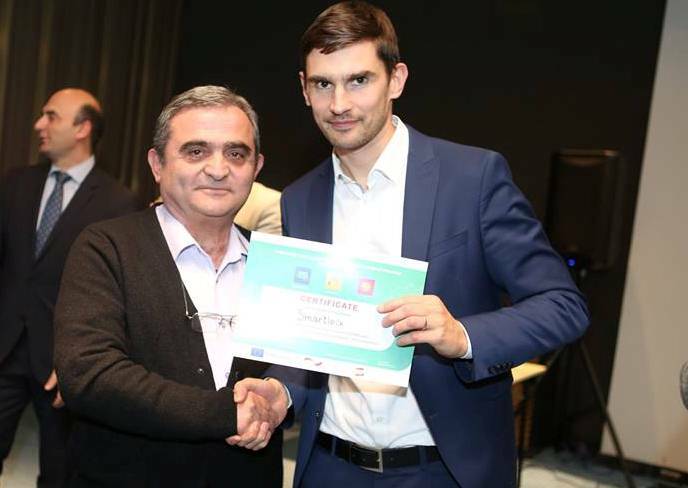 The startup received STEP grant in November 2018. Arkadi notes that the grant will allow the team to develop the design of the lock with modern industrial design and make at least 5 samples required for marketing work. 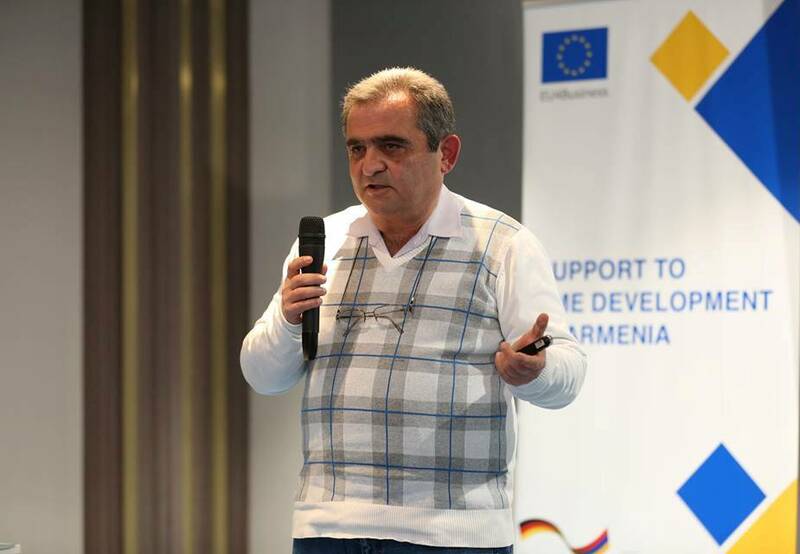 The main difficulty of working in the Armenian market, according to Arkadi, is its small size. “At the initial stage it is a very valuable market, as it will allow us to try out a new product while being close to the consumer, which is undoubtedly much easier than if consumers were in, for example, EU,” he adds. The goal of the startup in the upcoming year (after the completion of the manufacturing work at the end of May 2019) is to start carrying out active marketing work to determine the possibility of entering the markets of Europe and America.